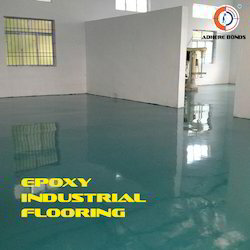 We are a leading Manufacturer of pu flooring, bituminous epoxy flooring services, epoxy flooring services, industrial flooring, industrial floor service and epoxy primer from Chennai, India. 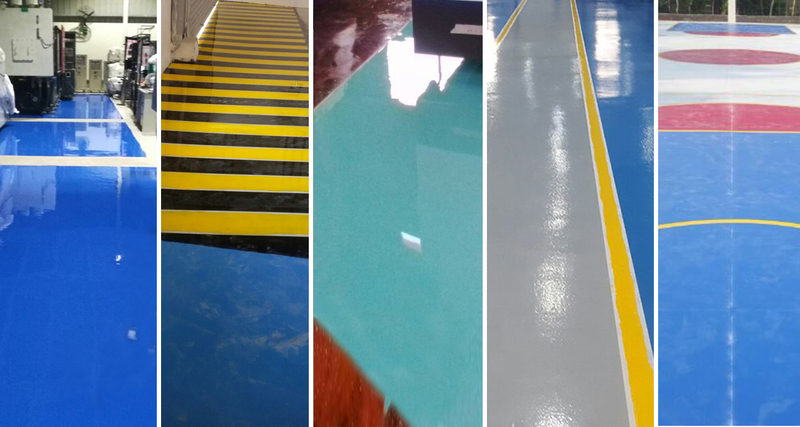 PU Flooring Services offered comprise high performance based PU flooring solutions. 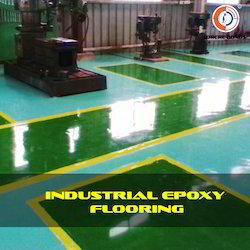 Bituminous Epoxy Flooring Services offered involves our expertise in offering high performance epoxy flooring solutions. 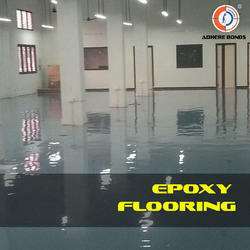 Epoxy Flooring Services offered comprise high performance based epoxy flooring solutions. 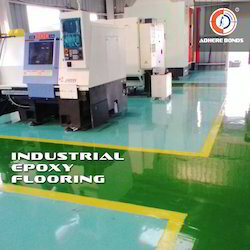 Industrial Flooring solutions offered involve comprehensive flooring solutions as per specific demands of customers. Industrial Floor Systems solutions offered find use in areas like bagging plants, steel & concrete structures. 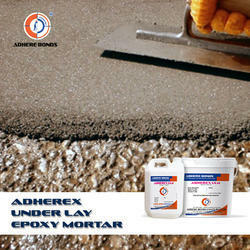 Adhere EP is a unique formulation which produces hard chemical resistant excellent adhesion to concrete and steel surfaces. Color Green, Blue, Yellow, etc. By keeping track of market developments, we are involved in manufacturing and supplying of Construction Chemicals & Decorative Coating. These products are manufactured from high quality raw material that is procured from some of the trusted vendors of the industry. Our product range is valued for its high quality standards, reliable performance and longer service life. 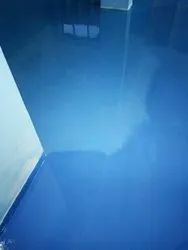 Heavy Duty Epoxy Flooring offered to involve our expertise in offering a wide variety of epoxy flooring solutions and provide for simple and inexpensive application usage. Services handled by experienced professionals for flawless end results. 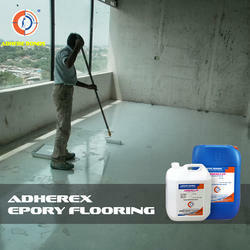 Our company has created niche in the field of providing Floor Coating Services to the clients. Floor Coating Services are rendered with utmost care using latest equipment and tools. We also render these services within a stipulated time period as per the requirements of the prestigious customers. These services are best known for use of latest techniques. Offered service is executed by efficient workforce in strict compliance with industrial quality standards. These services are treasured for exceptional attributes and appreciated by the valuable clients. 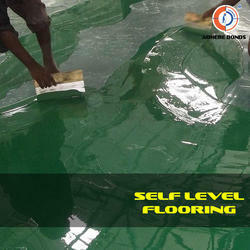 Self Levelling Services offered is backed by our rich expertise and experience so as to offer flawless solutions. 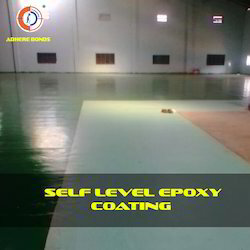 We offer to our clients high build Industrial Epoxy Coating system that is based on well researched formula and is extensively used in meeting the demands of industrial flooring and side walls. It is available in the following specifications. we offer Adhere Self (self level 1000 mic / 2000 mic). 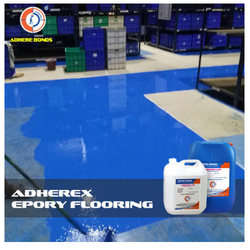 It is a solvent free, pigmented three component pure liquid epoxy resin cured with a special amine hardener self-leveling epoxy flooring. 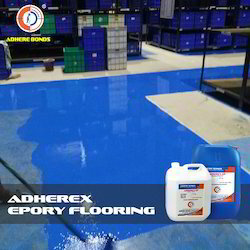 Adhere LB is a unique formulation low build epoxy system which produces hard chemical resistant, aesthetically pleasing coloured floor coating, dust proof areas for precision assembly sections in engineering and electronic industries etc. 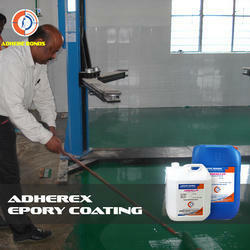 Coating Services offered can be made available in choice of different colors. 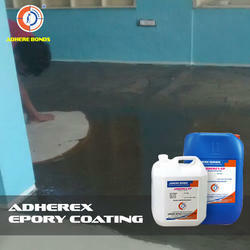 Epoxy Coating Services offered support perfect filling of small imperfections in floor surfaces. 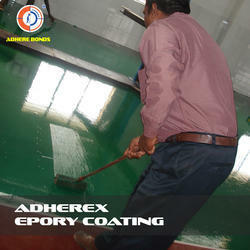 Epoxy Surface Coating offered provide for superior chemical, temperature, abrasion resistance. 2mm Self Levelling Services offered comprise heavy-duty solutions that provide for unsurpassed performance. Heavy Duty Flooring offered comprises high performance based flooring solutions and is suitable for use in residential as well as commercial areas. Color Grey, Black, Green, etc.